Joe Fresh is celebrating three years of online shopping with a promotion! 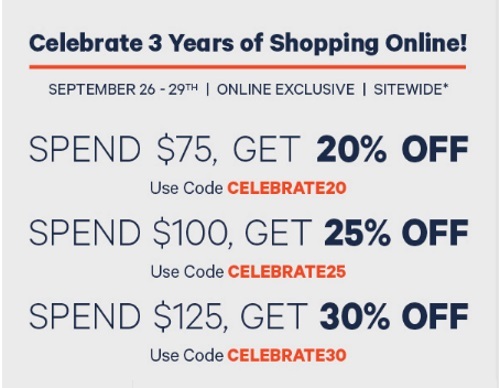 Save up to 30% off your order with the promo codes below! Offer is valid online only September 26-29, 2016.